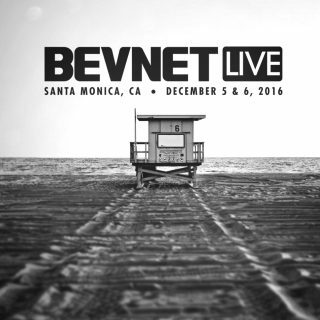 A powerhouse lineup of Breakout Sessions at BevNET Live in Santa Monica has been released today. A presentation by attorney Noah Hagey, followed by a panel with two other lawyers familiar with the space, will give attendees a look at the evolving legal environment affecting entrepreneurial beverage companies through the lens of the federal courts in the Northern District of California — the so-called “Food Court” where so many actions have been filed. The panel will also take attendees through strategies for avoiding regulatory and class-action suits and offer a look at the other active legal minefields affecting the beverage business. Due diligence isn’t just something that potential investors do at the end stage of a deal, but it’s what companies should be doing all along to make sure that they’re ready when the time to raise comes along. In this three-part discussion and presentation, a lawyer, CFO, and board member will bring their perspectives on what derails a deal — and how to protect against that. Fenster, the founder of outsourced CFO firm Propeller Industries, will explain the top financial risks that can trip up entrepreneurs as they head for the finish line of an investment round. Longtime board member and entrepreneur Barnhorn will talk about some of the internal issues that can affect the relationship between a CEO and a board heading for a deal, including control of information and keeping stakeholders unified; finally, Giannuzzi, an experienced deal attorney, will offer up some of the key legal touchpoints that need to be on legal lockdown as you head into your fundraising mode. Bars are everywhere, but they aren’t serving booze: Juice, Kombuchas, Coffee, Tea, Soda and even Dairy and Dairy alternatives are being turned into products at the center of branded brick-and-mortar operations, while also sending RTD versions of their products into the retail market. But how can CPG and brick-and-mortar operations combine to strengthen a brand, and what’s a good strategy for balancing the business? Our panel will offer guidance from companies that have combined on-premise and off-premise strategies, including highly successful chains Juice Served Here and La Colombe, both of which have recently launched unique RTD brands, as well as fast-growing Dry Soda, which operated a soda store spotlighting its sparkling brands for almost a decade as a marketing hub and headquarters. Together, the panelists will illustrate the challenges and best practices that factor into creating a winning brand in multiple formats. As financial euphemisms go, “Turnaround” is just about the worst — because it implies that there’s been a bankruptcy or other negative event that has put your company into a place from which it needed to execute an extreme change in direction. But for entrepreneurs, with the demands for cash and the pain of competition, it’s also going to be a looming possibility — unless you turn yourself around first. Celsius CEO Gerry David – a professional “turnaround leader” – will be there to explain how to probe your company’s financial and operating situation, as well as how to rethink spending and company structure in order to create positive growth. As a bonus, Celsius’ EVP Vanessa Walker, who has made her name reviving the fortunes of listless brands, will provide attendees with the kinds of sales and marketing tips that can build momentum away from any potential for disaster. For growing brands, there’s nothing better than the chance to meet with a national buyer whose okay can create opportunities in thousands of stores. There’s also nothing riskier, if the operations and marketing teams aren’t in the loop. Similarly, the opportunity to vastly expand distribution through deals with big DSD players like Dr Pepper Snapple, AB-InBev, Coke or Pepsi can either accelerate opportunity — or create a trainwreck. Dodge, who handled National Accounts for Dr Pepper Snapple Group, including its high-performing emerging brands group, and Stepper, the co-founder and CEO of Coca-Cola incubator L.A. Libations, bring deep experience pairing emerging brands with big customers and complex distribution systems to allow them to take full advantage of the scale opportunities they work so hard to earn. Between them they’ll offer advice and preparation strategy on what to do at the big buyer meeting — as well as before and after — to ensure success. BevNET Live breakouts are held in two sessions on the afternoon of Monday, Dec. 5, between 1:30 and 3:00 p.m. To plan your schedule, check the agenda. BevNET Live is a two-day forum for beverage entrepreneurs, suppliers, distributors, retailers and investors to gather and exchange ideas through interactive panels, lectures, and networking. Attendees can tap the expertise of investment professionals on ways to attract funding, successful brand owners about their inspiring stories, and the BevNET.com community, which has spent a decade dedicating itself to careful reporting on the fast-moving beverage industry. BevNET LIVE offers extensive and in-depth programming. More than just a conference, BevNET LIVE includes exclusive offerings, such as the BevNET LIVE Expo, The New Beverage Showdown, Sampling Bar, Beverage School, and more.